The biggest property management conference in the state will be held on Feb. 8. Property management has evolved a lot during the past 15 years. And during that time period, thousands of property management experts have learned and benefitted from the knowledge of experts in the field at Colorado Real Estate Journal property management conferences. “This is going to be our 15th anniversary,” Steve Sessions said about the upcoming property management conference next month. The CREJ conference will be held from 7 to 11:45 a.m. Feb. 8 at the Hyatt Regency Aurora-Denver Conference Center. 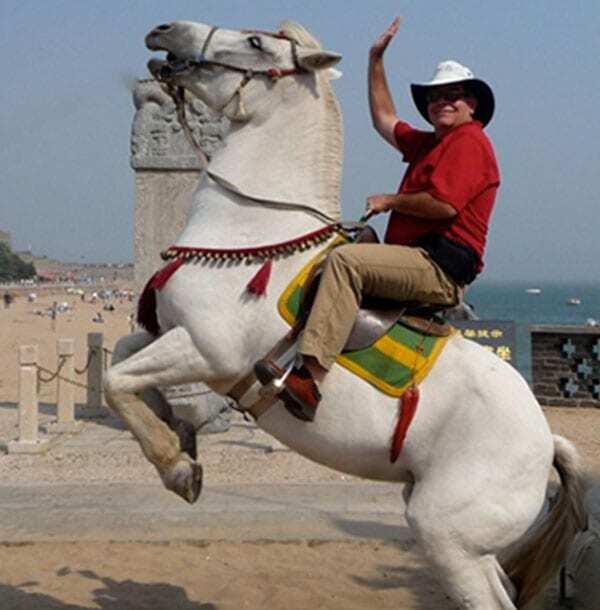 Property management expert Steve Sessions shown on the Great Wall of China, where he was teaching a real estate course as part of a DU sabbatical. It is expected to draw more than 500. And although the year is young, it is expected to be the largest event of its kind in 2018 in Colorado. “Jon (Stern) and I concocted the idea for a property management conference 15 years ago, and I would say that since then, property management in Denver has only gotten better,” said Sessions, who has been in the property management field for more than 35 years. Stern is the founder and publisher of CREJ. 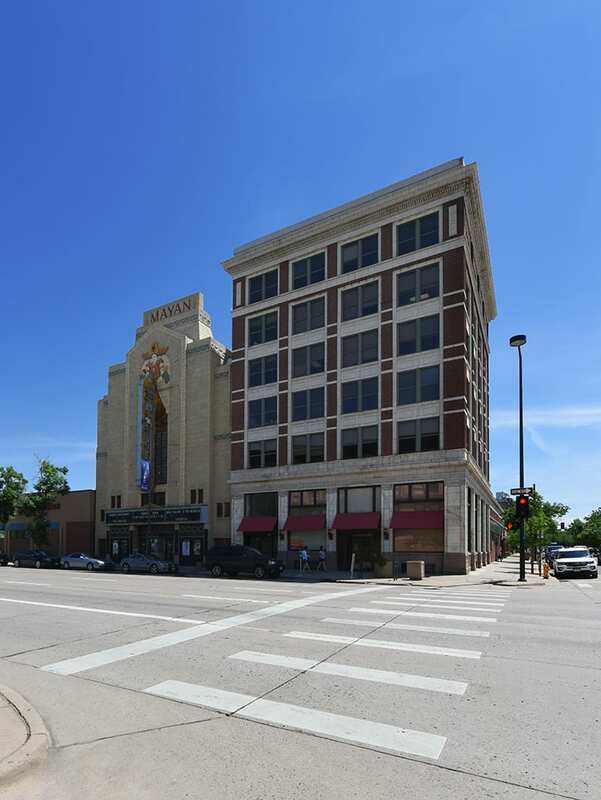 Session’s firm, the Sessions Group, manages about 2 million square feet of office, retail and industrial space. ‘We’re a boutique firm,” Sessions said. “But I feel like at one time or another I’ve managed just about every building in Denver. For example, in downtown he has managed 1801 California, Lincoln Tower and the Hudson Bay Centre. “Managing a big high-rise like 1801 California is like managing a mini-city,” said Sessions, who also teaches at the Franklin L. Burns School of Real Estate & Construction Management at the University of Denver, in addition to running his namesake firm. Property management associations such as BOMA and IREM have only gotten better during the past 15 years, with educational programs that provide useful tools for people in the field, he said. “I think people in the field today are better educated and have better tools at their disposal than they have ever had,” Sessions said. “There is just great software available and we have seen these huge advances in building automation systems,” Sessions said. Property managers work not only with the owners and landlords of buildings but also with tax consultants, architects, engineers, brokers, security experts and, most importantly, the tenants themselves. I asked Sessions if a sign that a property management company is doing its job properly is if the property management team is somewhat invisible to tenants. “That’s one perspective, but it’s not the way I look at it,” Sessions told me. His view is that one of the most important tasks of a property manager is to find out what makes tenants unhappy. The Sessions Group manages the block on Broadway that includes the Mayan Theater. Steve Sessions will be a keynote speaker at the CREJ Property Management Conference Feb. 8. By keeping tenants happy, they are less likely to jump ship to other buildings, he noted. Sessions also will moderate a broker panel at the property management conference that will include: office broker Whitney Hake – director, Cushman & Wakefield; retail broker Peter Pavlakis, founding partner, Legend Partners; and industrial broker Doug Viseur, CBRE first vice president. An investment broker panel will include: Patrick Devereaux, executive vice president, JLL; John Jugl, vice chairman, Western Region Capital Markets, Newmark Knight Frank; and moderator Bruce Backstrom, senior vice president and chief operating officer at Hannay Realty Advisors. Matthew W. Poling, a certified public accountant, will provide a commercial real estate tax update. During a legislative update forum, the green roof initiative passed by Denver voters will be discussed by Dan Simpson, director of management Services at Newmark Knight Frank. The pros and cons of slow growth will be tackled by Adam Paul, the mayor of Lakewood. Judith Purviance-Anderson, a general manager at Cushman & Wakefield, will discuss steps that need to be taken to be prepared for emergencies. Lyla A. Gambow, an associate director of asset services for Cushman & Wakefield, will moderate that panel. “The Effect of Health & Wellness on Property Values,” Sarah Spencer-Workman, manager of sustainability at NORESCO. April May, assistant property manager, Stream Realty Partners. The panel will be moderated by Thomas E. Bahn, senior vice president, Stream Realty Partners.